Welcome to The Helpful Art Teacher, an interdisciplinary website linking visual arts to math, social studies, science and language arts. Learning how to draw means learning to see. 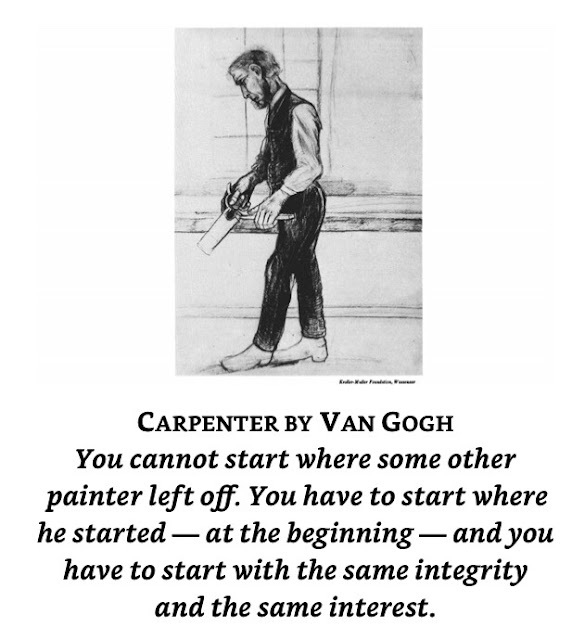 A good art lesson teaches us not only to create but to look at, think about and understand our world through art. Please contact me at thehelpfulartteacher@gmail.com. I would love to hear from you. Like The Helpful Art Teacher on FaceBook for blog updates, interesting photos, videos and fun art related links. Trial and error is essential to the creative process. 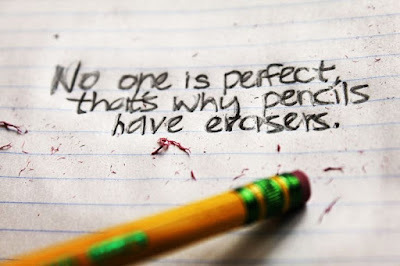 When I draw, my eraser is as important an instrument as my pencil. In the classroom I teach my students to work through their mistakes and never give up. 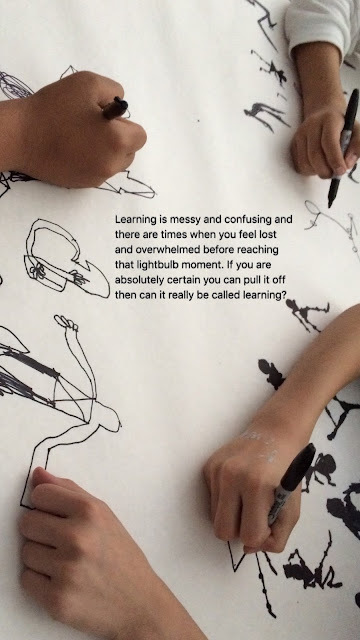 If a student tells me they are dissatisfied with their drawing and they are willing to point out specifically the part that is frustrating them I will be happy to use every resource I know of in order to help them work through their difficulty. If, however, they throw their paper away or bring me a blank page I will send them back to try again because I don't know what they can do on their own. In other words, your mistakes and frustrations hold the key to your future learning. Don't throw away your 'mess ups', use them to learn. 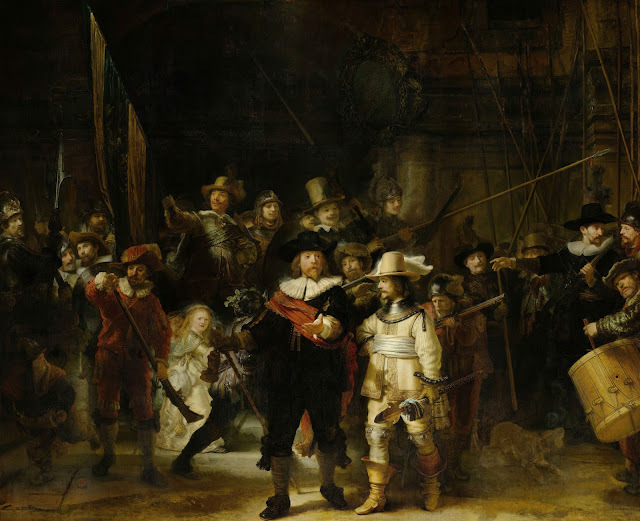 I'll let you in on a little secret: famous artists mess up too! They erase and they get frustrated as they try to draw new things. Instead of throwing their paper away they keep working until they get it right. 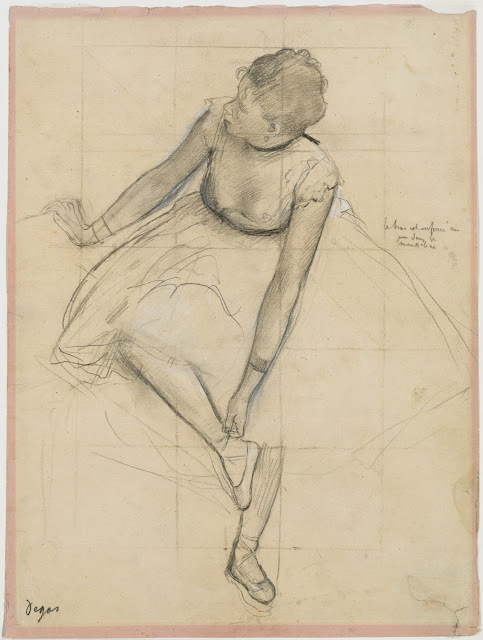 From the sketches of Edgar Degas. "In 1864 Manet exhibited a large painting he called Episode from a Bullfight. Critics complained that its image of a fallen matador was out of proportion to the bull that had just gored him. "A wooden bullfighter, killed by a horned rat," one sneered. At some point, Manet cut the painting apart, creating two smaller, more powerful works: The Dead Toreador, here, and The Bullfight, now in the Frick Collection, New York. How would you respond if art critics made fun of your work? 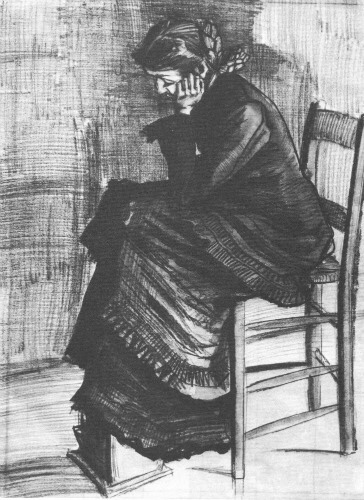 How do you think Manet felt after so many people made fun of his painting? 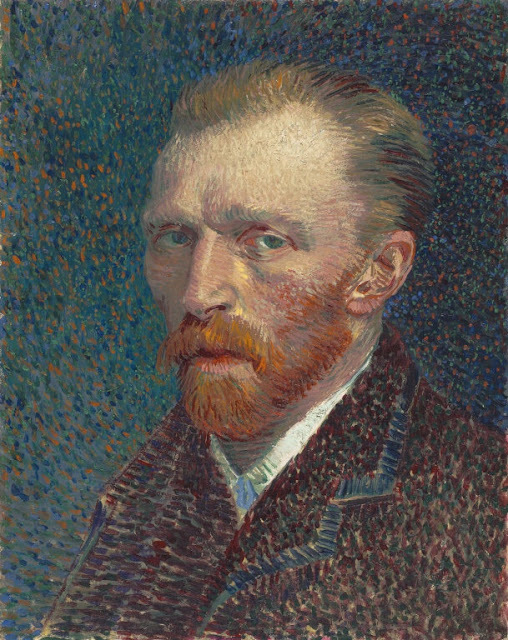 There is no question that, over the course of those eight years, from 1880 to 1888, by drawing from life and copying from pictures every single day, Vincent Van Gogh's skill improved dramatically. Your drawings will improve too, if you never give up. 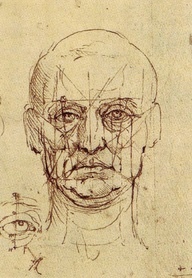 The drawing above, from da Vinci's sketch book, shows the guidelines he used to determine the facial proportions. 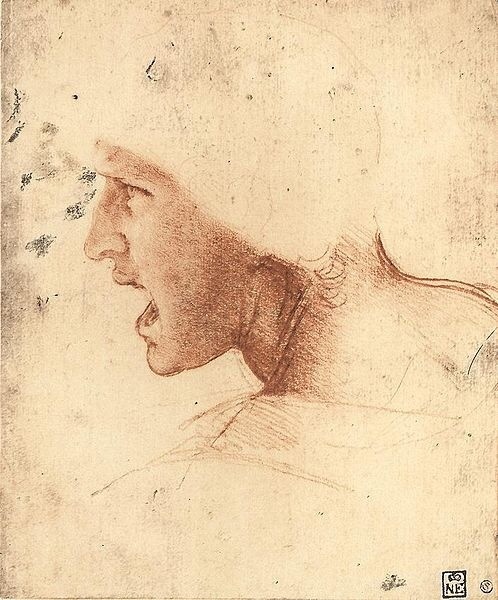 The picture below has smears and finger prints on it but that didn't stop Leonardo from keeping his artwork. 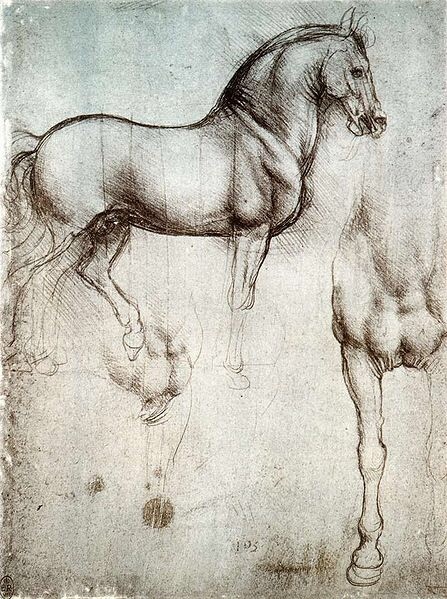 Leonardo da Vinci and Vincent Van Gogh both used their sketches to develop ideas for some of the most famous and beloved pieces of art the world has ever known. How are you going to use your sketches? 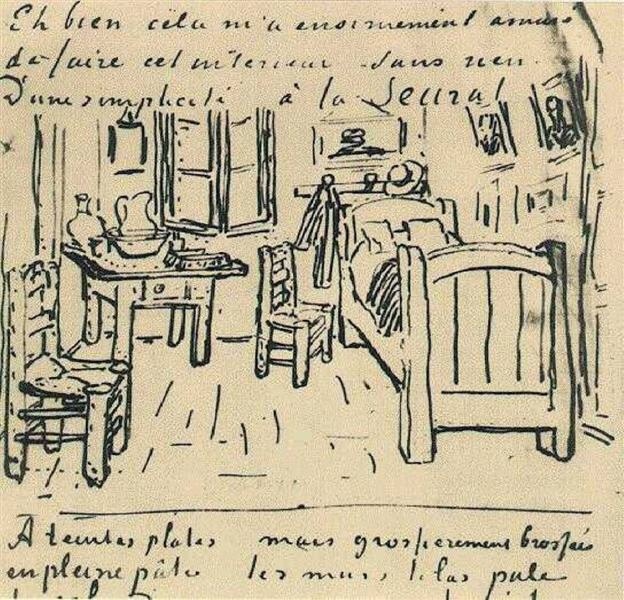 Click here to explore the sketchbooks of other famous artists. 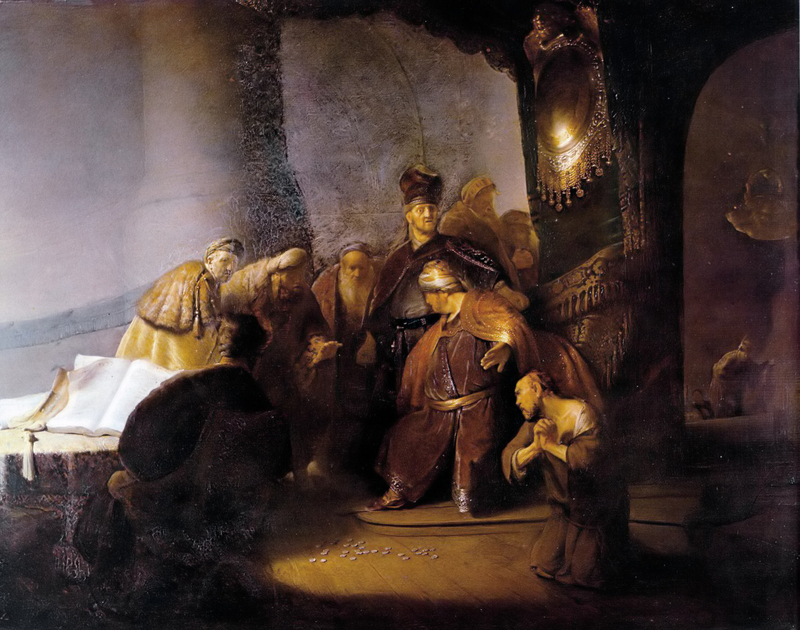 Like Da Vinci, many of Rembrandt's paintings were inspired by biblical stories. 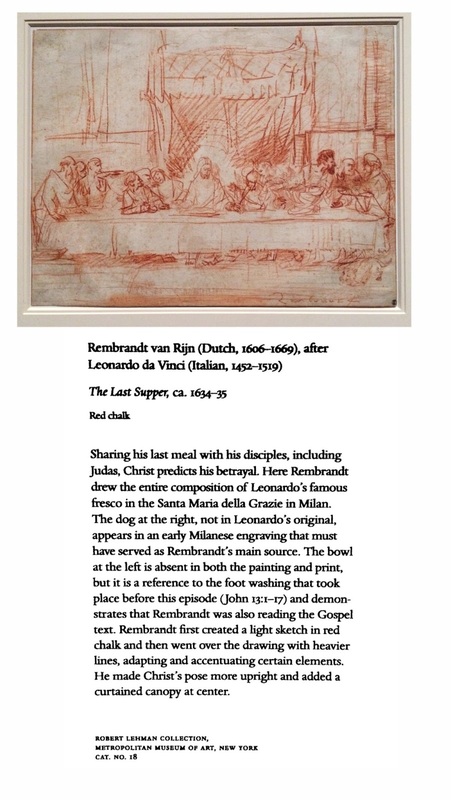 Below is a sketch by Rembrandt, inspired by Da Vinci's famous fresco, The Last Supper. 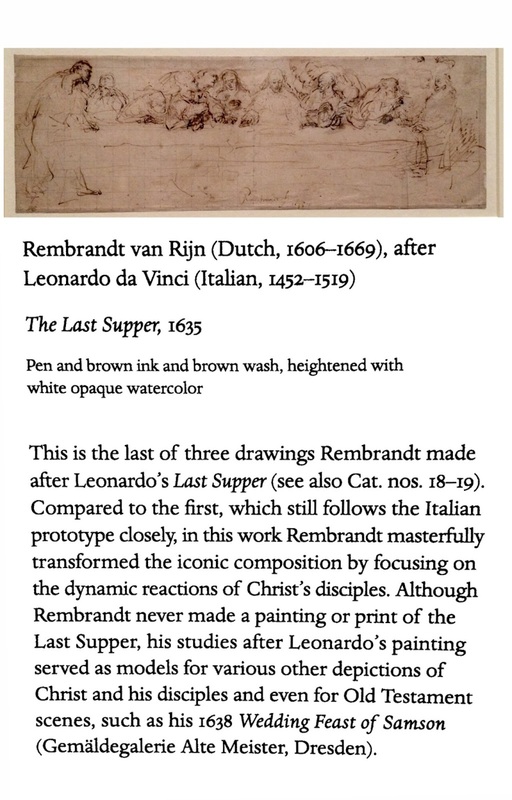 Because Rembrandt was in Holland and the original fresco is in Italy, he was copying from an engraving by Pieter Soutman, who created HIS picture from a Peter Paul Rubens etching, who in turn created HIS painting from Leonardo Da Vinci's original. The red chalk picture was never meant to be displayed. Sketching is how artists learn how to draw new things. This drawing is a rough draft, or 'sloppy copy'. He blocked in the forms lightly and then drew more details using darker lines. He erased. He changed his mind. He worked out his ideas, trying different lines. He even painted white paint over his 'mess ups' (but over time that paint turned transparent). Rembrandt never painted 'The Last Supper'. 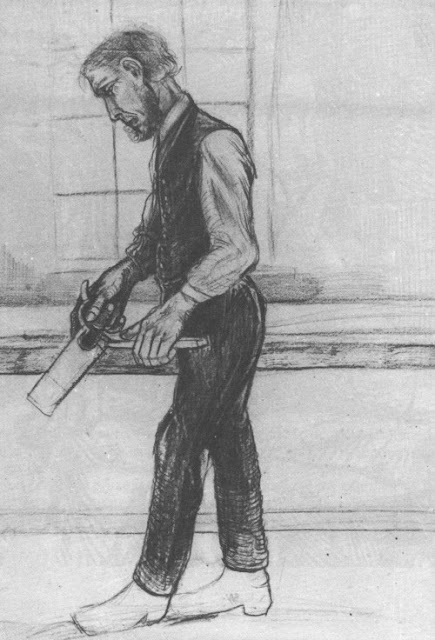 He did however use some of the figures from the sketches in later paintings. What would have happened if Da Vinci had given up? 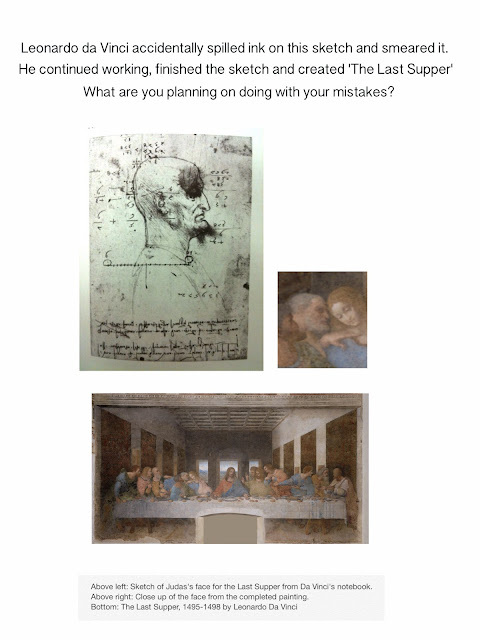 What if he threw his sketch of Judas away after spilling the ink on it? 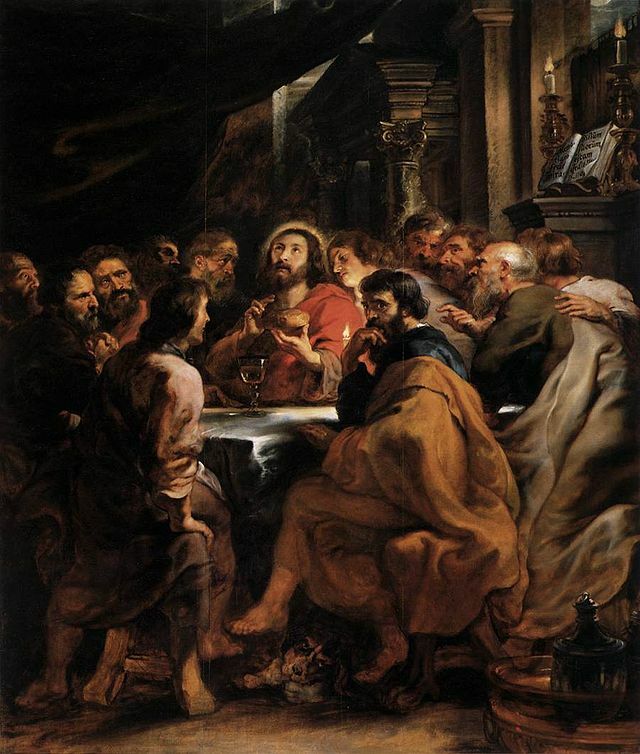 What if he never painted 'The Last Supper' at all? Would Soutman, Rubens or Rembrandt have ever created their pictures without Da Vinci to inspire them? 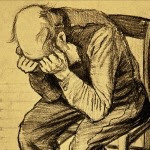 What lessons can we learn from this story? Don't throw your paper away, even if it contains multiple corrections. 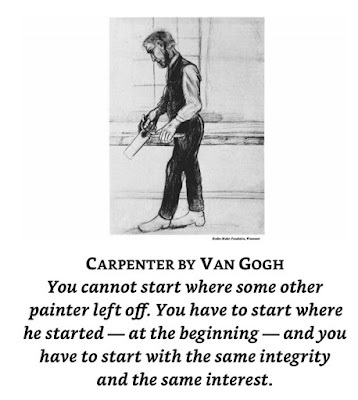 Working through mistakes is how good artists become great ones. How you struggle through and solve problems will determine how skilled you become. If you never make any mistakes it's likely you aren't challenging yourself. You will never know where an idea might lead unless you take the time to pursue it. 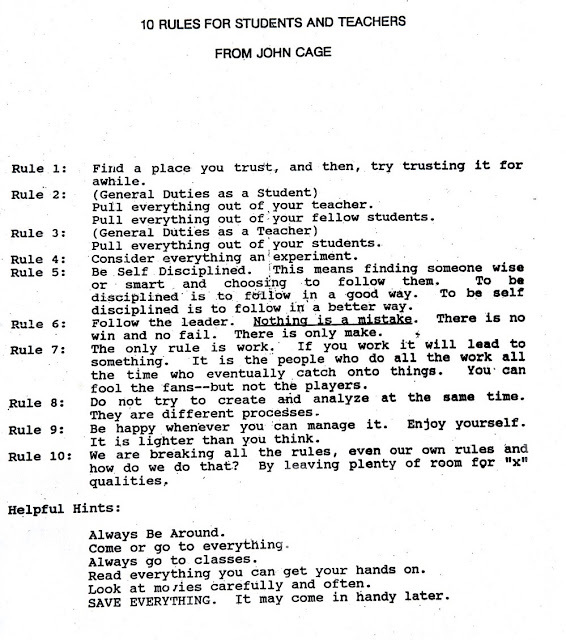 Thank you...many of these ideas could well be applied to life itself. Wondering where to buy supplies for all the fantastic projects you find here? Look no farther. Let The Helpful Art Teacher help you out. Best prices and same day delivery. 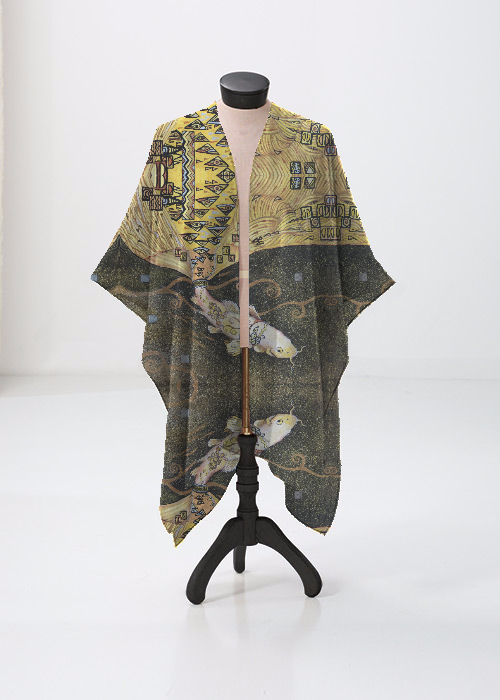 My paintings on custom printed clothing and accessories. Click on the photo to visit my shop. Click on the photo above to check out my reasonably priced custom designs, from coffee mugs to note cards and everything in between. Make your world a more beautiful place. The Helpful Art Teacher has been voted number one by readers, The Most Fascinating Art Teacher Blog of 2012! Click here to read the complete article. Thanks to all who voted for me! I pledge to keep publishing fascinating content, just for you. Can you create animations with a Chromebook? Yes, you can! Architecture Detective: What types of architecture can you find in your neighborhood? Drawing tutorials: how to draw just about anything. Rachel Wintemberg started teaching digital, media and fine arts at Perth Amboy High School in Perth Amboy NJ in the fall of 2018. Prior to that, I was an art teacher at Samuel E. Shull and William C. McGinnis Middle Schools, also in Perth Amboy. As a result, you will find both middle school and high school art lessons in this blog as well as summer camp projects appropriate for younger students. When I am not teaching I love photography, ceramics, watercolor painting, visiting museums, creating animations, kayaking, hiking and spending time with my husband and daughter. Most of the photographs on this site are my own. Please treat them as you would any copyright protected material. You may print any pictures from this site for educational purposes only, in accordance with fair use law. You may post links to this blog or to my photos. If you post my images in electronic form (such as a blog, email, or electronic document) please include an active lnk to this website. If you would like to use my photos for any other purpose please email me for permission.